Sorry, 7 Success Strategies To Master Your Days Is Currently Closed! Sometimes things are written for us. But ultimately we create our own stories. Does your life feel like a page-turner? Or have you stalled at Chapter 1? when all you really want is a fairy tale? So what’s the real secret of life-altering achievements? 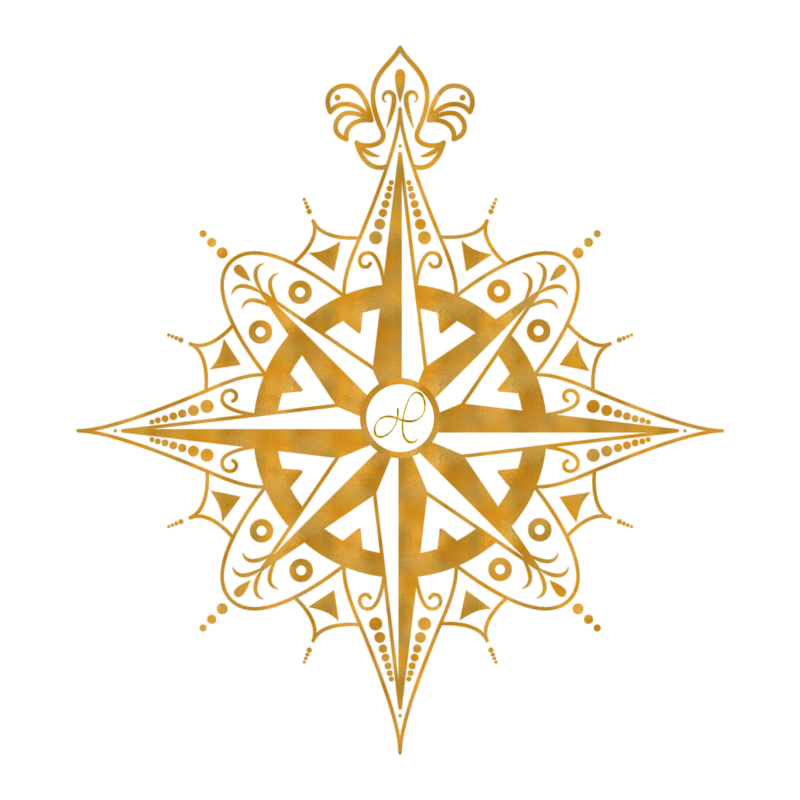 Ownership of our life story through mastery of our days. 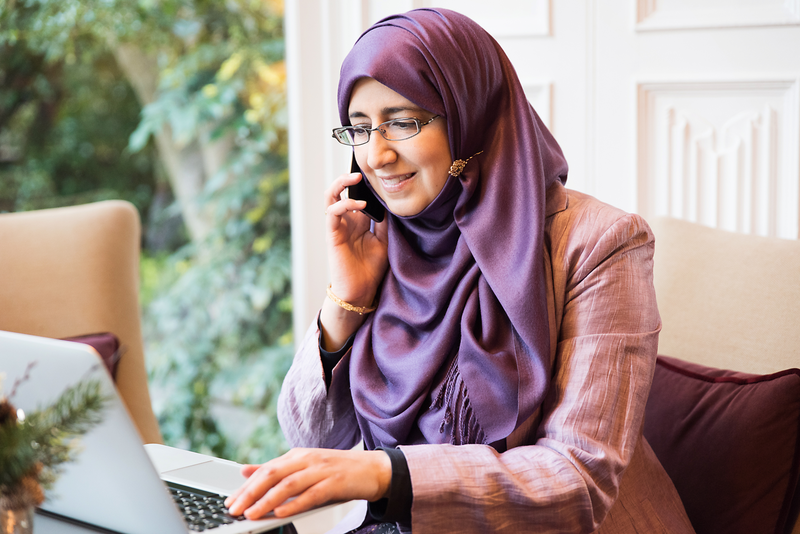 An online course by Hafizah Ismail where she shares the secrets of how you can achieve all this and more.
" Freedom and greatness belong to those who master their day. " Let me teach you how to write your story, one you want to read - and that others will want to read too. You’re already searching for the answers, so firstly congratulations – you clearly have the desire to achieve. But somehow, this next chapter isn’t turning out how you wanted it to. Perhaps you feel like you’re struggling constantly and always, coming up against obstacles in your life’s path. Maybe you don’t know where to turn next and feel overwhelmed and stressed? Perhaps you just want more happiness, more success, more clarity and more focus but don’t know where to begin? Whatever it may be, this isn’t the ending that you had in mind. Realising your biggest challenge is just the start and can seem insurmountable when you don’t know where to begin. The good news is this: I know your biggest challenge and I am here to help. As a leading high performance coach, CEO of an acclaimed charity, education consultant and grief recovery specialist, I know how to help you. I’ve written my story, I’ve designed the path I want to take and I know how to get you where you want to be. I have founded and developed an international bereavement charity, run my own successful business, coached hundreds of clients, recovered and grown from adversity, helped underachieving students accomplish phenomenal results AND adopted two amazing children. Sound like a lot? You’re probably wondering how I manage all this. My life is busy and I am used to having a lot on. But let me make something clear - I didn’t achieve all this by sitting back. I got up and I wrote my story, one page at a time and I did it by mastering my days.
" Successful people live each day as if it were their last and make the most out of each moment. " My biggest success was realising that I needed to master my days so that my days didn’t master me. Only then could I become the awesome mother I wanted to be. Only then could I build the business I always dreamed of creating. Only then did I achieve the legacy I aspired to achieve. It took awhile, but I learned how to master my days. Don’t you think it’s about time yours did too? 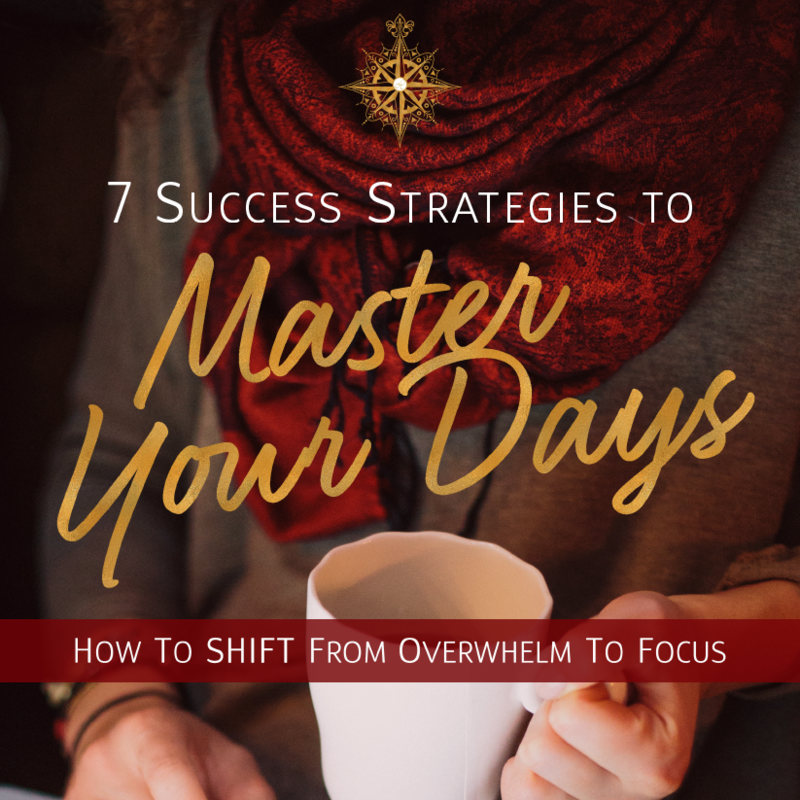 In 7 Success Strategies To Master Your Days you will discover the essential success strategies and techniques used by the world’s most successful people to shift from overwhelm to focus. Whether it's to develop your business, take the next step in your career, and make a difference in the world, nurture your relationships or develop new ones, I can teach you how mastering your days will shift your life to the next level. Leave behind stress and pressure – learn simple techniques to stay focused, clear and productive. How did I do all this? 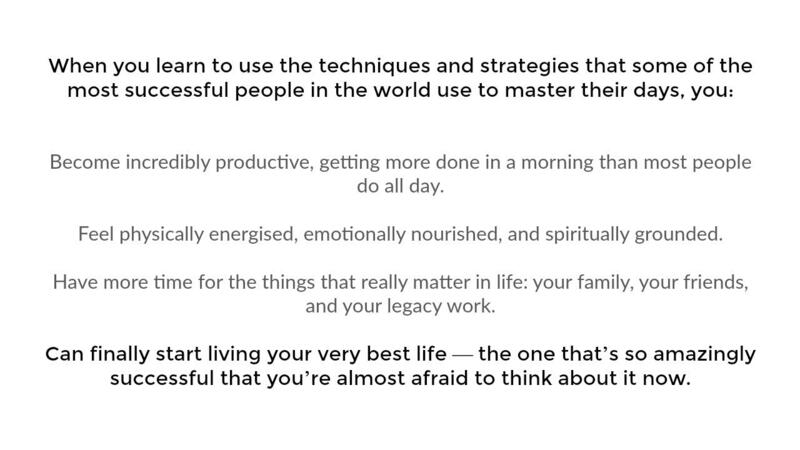 Through practicing techniques that I have learnt from some of the most successful people in the world and applying these to my own life. It all started with my biggest challenge and most important step - learning how to master my days, every single day. Now I want to share my success with others and develop a legacy of helping people to live the life they want to lead.